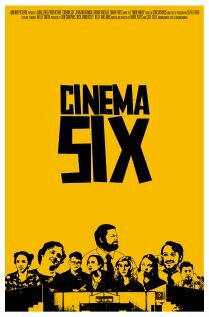 ‘Cinema Six’ is an ultra vulgar comedy that tries too hard to be this generation’s ‘Clerks’ rather than provide a new voice or message. The movie wants so desperately to be a brilliant comedy, but it never quite achieves its goal. That being said, ‘Cinema Six’ still has enough charm and laughs to warrant late night viewings with drinks and friends. 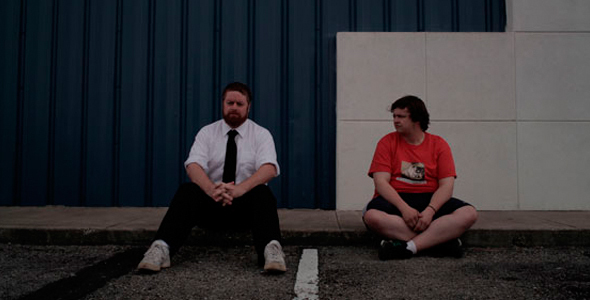 ‘Cinema Six’ follows a trio of friends who work at a run-down and rarely-frequented movie theater. The main character is Mason (John Merriman) who has just been promoted to manager of an unruly group of misfits that work at the theater. Mason is married with a newborn kid and is constantly nagged by his wife to grow up and get out of the theater business and work for her step-dad. Mason struggles with this decision, finding it hard to decide whether it is better to continue to work at the theater where he is in his comfort-zone, or to find a more promising career that would allow him to spend more time with his family. Where many of us would have quickly left the theater job behind, he not only continues to work at the theater despite his wife’s objections, but he also hangs out at the theater when he isn’t scheduled to work. Mason’s two best friends at work are Dennis and Gabe. Dennis (Brand Rackley) is the second assistant manager who is heartbroken over a girl and just doesn’t care about anything but his two friends. And Gabe (Mark Potts) is the young theater projectionist, who when he is not masturbating in a corner of the office or sleeping on the job, tries to gain the courage to talk to a girl he likes. These three guys stick together, look out for each other, and give each other advice despite the fact that none of them are qualified to give any advice. The overall goal of the film was to show how these three characters struggle with change and to move on from their juvenile lives. Whether it be deciding to go to college, getting over a true love, or taking care of their family, we see all three characters strive to move onto better things despite their strong desire to stay in their safe and predictable routine. Although the character growth was admirable, the film truly falls on its face because of the inane and gratuitous vulgar dialogue. Now, I am no puritan about curse words, but this was redundant and over-the-top use of profanity. Every curse word was used at least 100 times throughout the movie. At a point, it just stops being funny. If the filmmakers used a ‘less is more’ approach, the use of profanity could have been less objectionable. But as it is, ‘Cinema Six’s foul language is forced, constant, and without reason. I have no doubt that ‘Cinema Six’ will appeal to the 16-21 year old demographic. But as an adult, even the infamous popcorn machine scene and likable characters are not enough of a draw for me to want to see this movie again any time soon. This entry was posted on Monday, April 16th, 2012 at 10:40 pm	and is filed under Film, News. You can follow any responses to this entry through the RSS 2.0 feed. You can skip to the end and leave a response. Pinging is currently not allowed. « Bryan Reviews ‘Liberal Arts’!! !